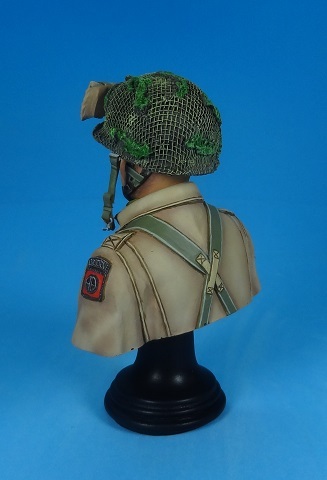 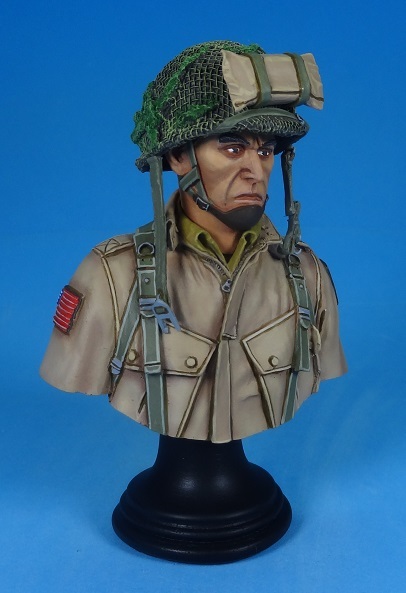 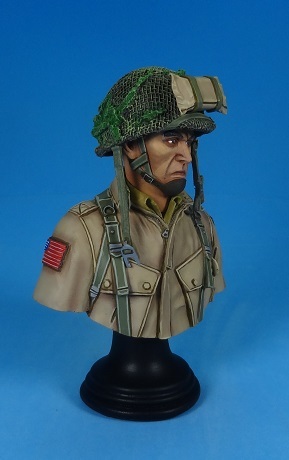 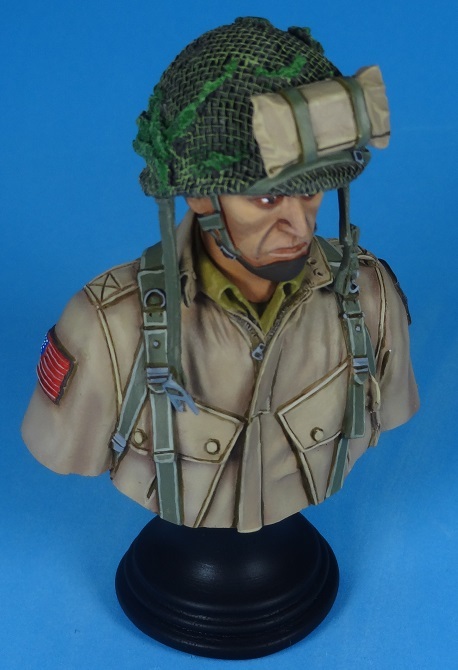 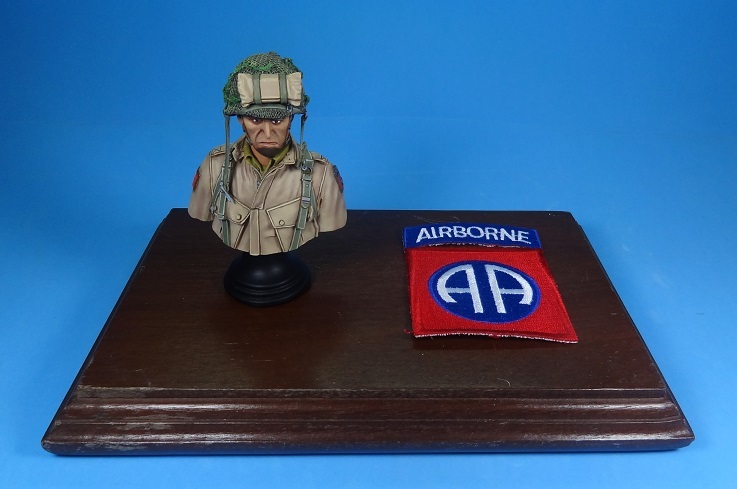 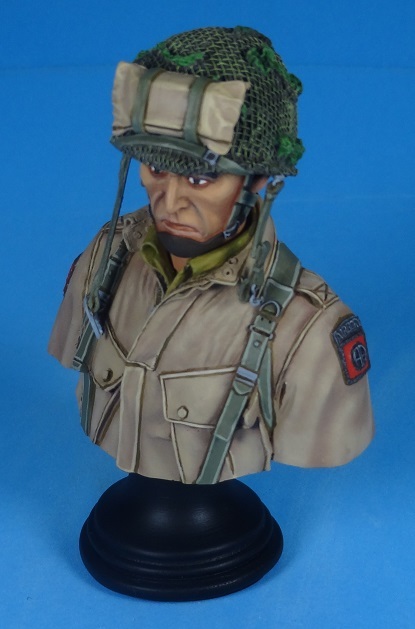 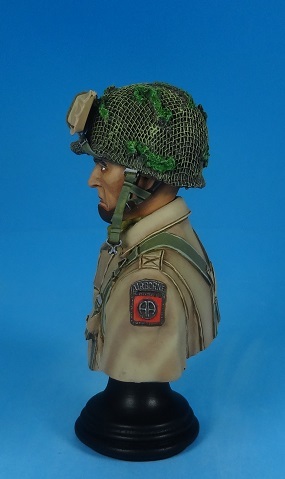 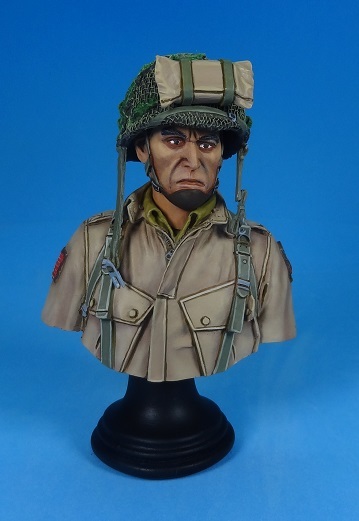 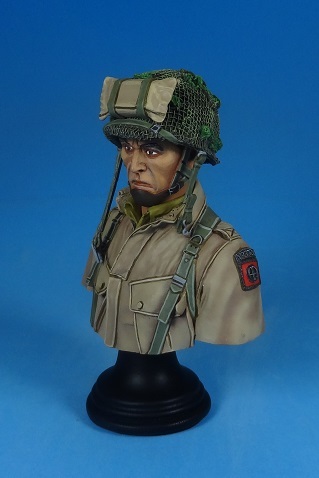 This is Legend's 1/9 U.S. Airborne trooper bust. 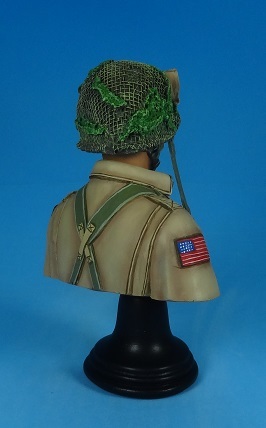 The quality of the casting is fantastic, with no air bubbles. 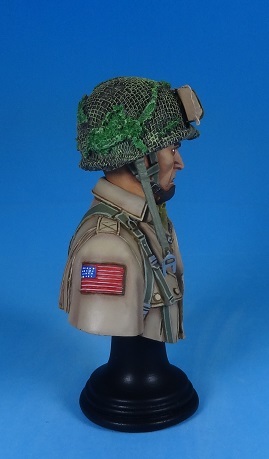 Details are very nice and not affected by the resin molding blocks. 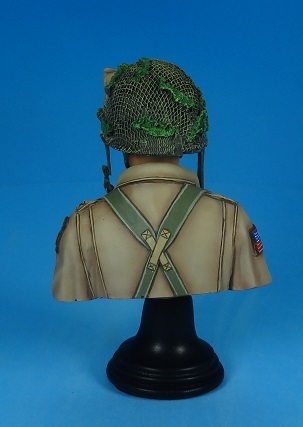 Bellow you can see the parts you get in the box. They came in a sealed bag with bubble plastic for protection.